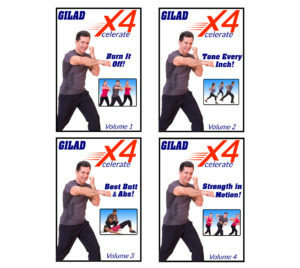 Gilad offers a wide range of workouts on DVD. 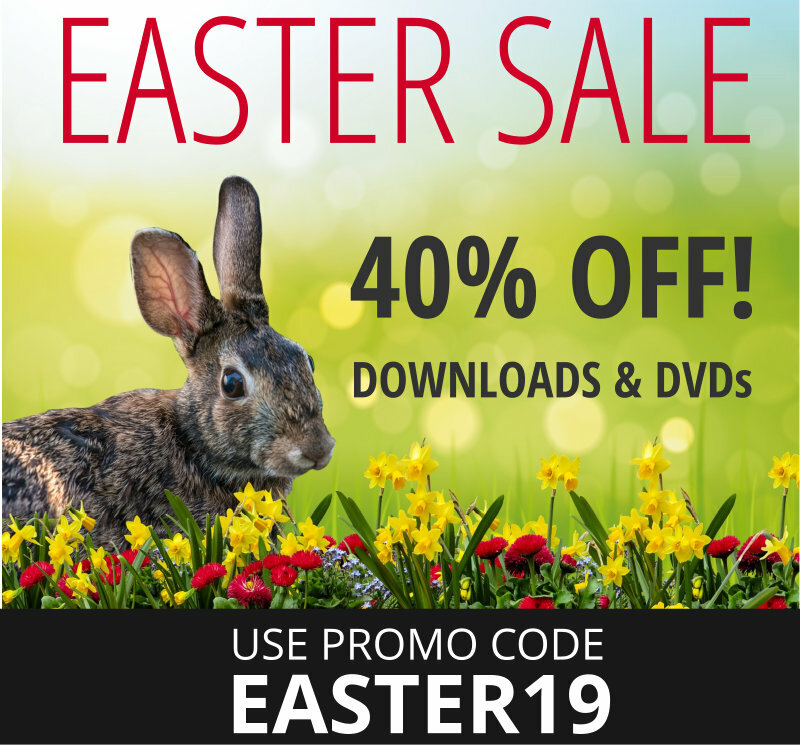 We have DVDs for all levels. DVDs work in all regions. 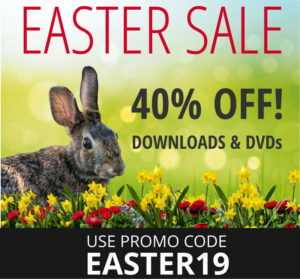 Free shipping on order over $49.00 (in USA). We have a wide range of apperal including t-shirts, sweat-shirts, for women and men. We also have items like mugs, cups, bags, towels plus more. Xcelerate-4 is an in-home workout program I did for Sarah Ferguson, The Duchess of York, known fondly as ‘Fergie’.I had the honor of putting together a special training program for the Duchess and worked with her in the US and Europe to help her meet her weight loss and fitness goals and get her into the best shape possible. Gilad’s 30th-anniversary reunion shows features long-time team members. These shows were shot on the North Shore of Oahu at Shark’s Cove. Gilad’s ‘Lord of the Abs’ series is a full-body fitness system that shows you how to concentrate on the core while working all the other parts of your body. Standing workouts, floor work routines, heavy balls, Pilates principles, yoga moves, military-style circuits and aerobics all combine to help you get in the best shape of your life while building your core with each and every move. 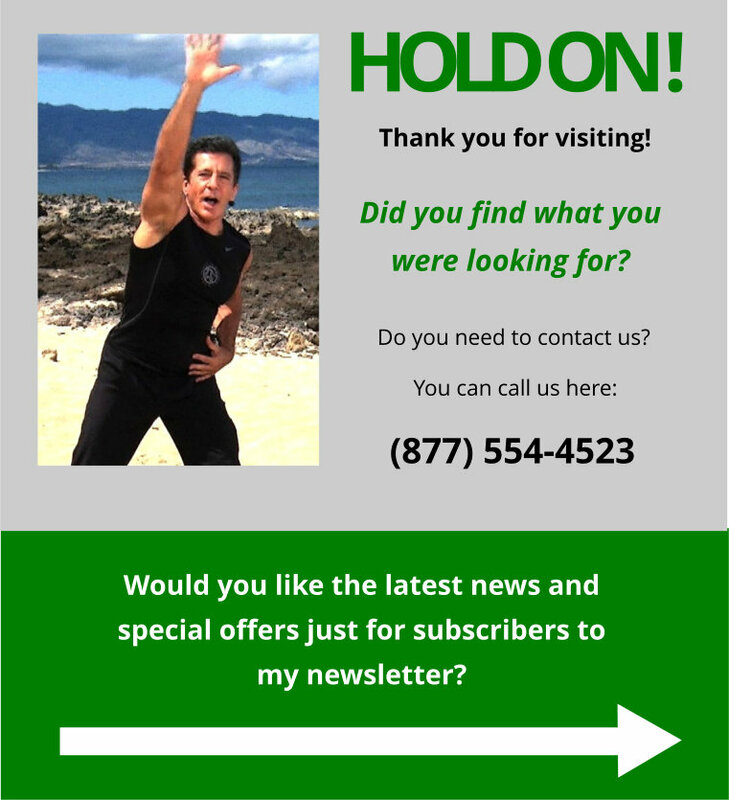 Gilad has created a new generation of Fitness DVDs called the ‘Ultimate Body Sculpt’ series™. “I was actually surprised at my results. I was expecting just to lose some weight but I began seeing changes in my body shape like never before. I realized it’s not all about weight but an overall need for wellness of mind and body. I was surprised at how much strength I gained and that in just 60 days I was able to change my whole outlook on getting fit. I am more aware now of my appetite, what I put into my body, and have changed how I think about myself in general. For the first time ever, I can finally say I am happy with my body! That is my greatest success ever. I have really enjoyed the challenge and love all of Gilad’s workouts. I love that they are made for real people, and result in real changes that last. I am now one who looks forward to being in motion each day and that’s a huge difference! 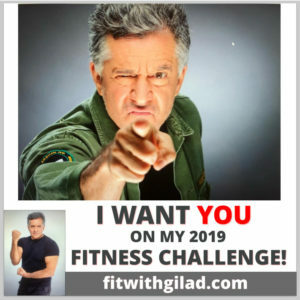 Ready To Join Gilad's 2019 - 60 Day Fitness The Challenge? Does your videos play in all countries? Yes, they do. All videos sold by us are coded for all regions. We offer a one-of-a-kind one-year money back guarantee. Do you have workouts for beginner? We have workouts for all levels. Here are some good workouts if you are just starting out. What should I know before beginning my fitness program? First, change doesn’t happen overnight. So, don’t try to achieve all at once and don’t make contracts in your mind that your body can’t keep. Build success into your program by taking small steps and be consistent. Second, if you want to become fitter and healthier you need to realize that it is a lifestyle change that you are after. Third, don’t compare yourself to anyone. There is only one of you in this world and your goal should be to become the best that you can be. Fourth, the power to achieve your goals is in your hands, so just go for it! Should I lose weight first, before I start working out? Unless you are extremely overweight and under a Doctor’s supervision, you should start your ‘weight loss strategy” all at once and that means a good healthy diet and a balanced exercise program. Working out and especially strength training will actually help you lose weight for the simple reason that adding lean muscle mass to your body composition will increase your metabolic rate, helping you burn more calories even while your body is at rest. Will sit ups help me get rid of the fat around my waistline? How can I lose fat from my thighs? These questions relate to “spot reducing”. It seems that the areas we want to lose fat from the most are always the most stubborn and last to go. People hold on to fat in different parts of the body, men generally store it around the waist while women generally store it around the hips. It is not possible to “spot reduce” for the very simple reason that fat does not belong to specific parts of our bodies, it belongs to the whole body. The best “spot reducing” technique I know is to regularly alternate between aerobic exercise and body sculpting exercises that work all the different muscle groups. If you stay consistent the fat should all come off so your abs will show and your hips will trim down. How do you get over a “plateau? 1. Take a week off, giving your body a chance to recover. 2. Change your exercise routine. 3. Work on your “weak link” (the area you feel is your weakest). It’s possible that this weakness is limiting the improvement of the rest of the body. 4. Improve your diet. If I stop working out will my muscles turn into fat? This is a misconception. Fat can not turn into muscle just as muscle can not turn into fat. You can burn off excess body fat by doing aerobic activity and you can increase your lean body mass by strength training. If you stop working out you will over time become weaker and your muscles will lose their tone and shrink in size. This will cause the metabolic rate to lower which in turn will cause you to accumulate more fat on your body. Will weight training get me big? If I exercise regularly, can I eat whatever I want? How should I breathe while exercising? To get the best and safest results while doing strength training, you should always exhale on the exertion phase of the exercise. When you exert the blood pressure is on the rise and the exhalation helps lower the stress on the body. It is also important to get into a good breathing rhythm while doing aerobic exercise in order to have a steady supply of oxygen to the blood. A good breathing technique will help you from getting winded. If I am doing aerobics and strength training on the same day, which should I do first? There are arguments on both sides of the coin. Personally, I think it really doesn’t matter. The best is to follow your own personal preference and instinct. My recommendation would be to start off with the activity you find harder first and get it out of the way while your energy level is at its highest. Ultimately it would probably be best to alternate between the activities, starting once with the aerobic workout and the next time starting with the strength training. Gilad Janklowicz is one of the world’s most popular fitness personalities. 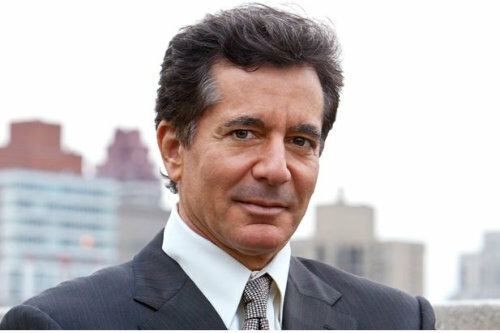 As a pioneer in the fitness industry he has helped millions to stay fit with his popular TV fitness shows ‘Bodies in Motion’, ‘Basic Training the Workout’ and ‘Total Body Sculpt with Gilad’, Lord of the Abs, Xcelerate-4 and with his gold and platinum instructional home fitness DVDs and videos.